I hadn’t really used Pinterest all that much until I realized that I could pin vegan recipes to have as a reference for the vegan cooking I will be doing this summer. On my last night in Ottawa I made a Mexican meal for my dad and our friend Paula, which included vegan soft-shell tacos, homemade salsa, quinoa and beans, and vegan chocolate pudding for dessert; the linked recipes are the ones I got from Pinterest, and I can assure you that they are excellent recipes, even for a non-vegan (I left out the coffee and orange oil for the pudding). I filled the tacos with the bean filling, guacamole, salsa, lettuce, and vegan cheese (which was pretty good). Though, with all the textures and flavours, cheese is not necessary. 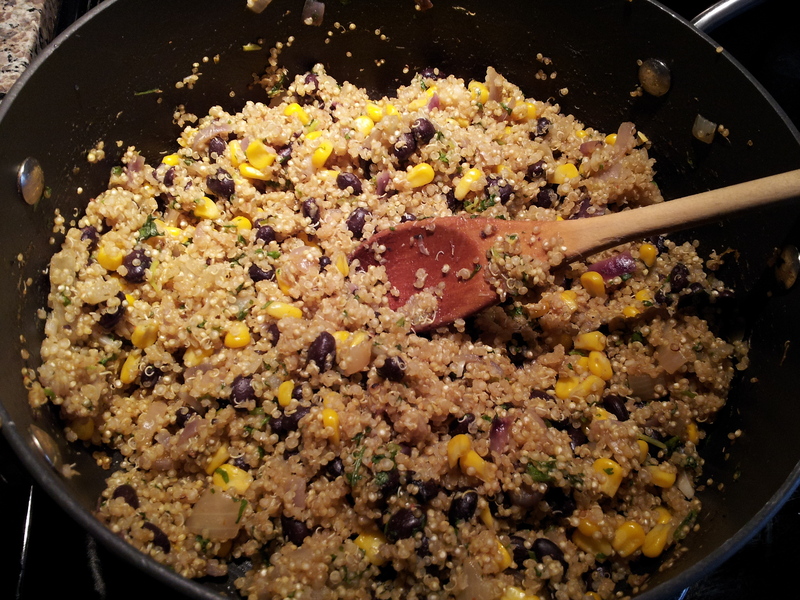 The Quinoa and Beans recipe is one that I learned from Tom a couple years ago, and it has become one of my favorites. In a pot, I sauteed the onion and garlic in the olive oil for a few minutes, then added the quinoa and vegetable broth, and let the quinoa cook at a simmer for about 20 minutes. I added the corn and black beans, letting them cook for about five minutes, then added the spices and cilantro. Easy peasy, mighty delicious, and extremely healthy. If you have never cooked with quinoa, I highly suggest this recipe to give it a try – use it either as a side dish, or inside of a taco. The salsa I made involved the chopping and mixing together of a red onion, a few tomatoes, one mango, a couple cloves of garlic, one jalapeno pepper, and salt and pepper. Letting salsa sit for a few hours makes it come together very nicely. To finish off, I just wanted to say that one of the main reasons why I am trying out a vegan diet is because I love to cook, and I love discovering new ways of making dishes. 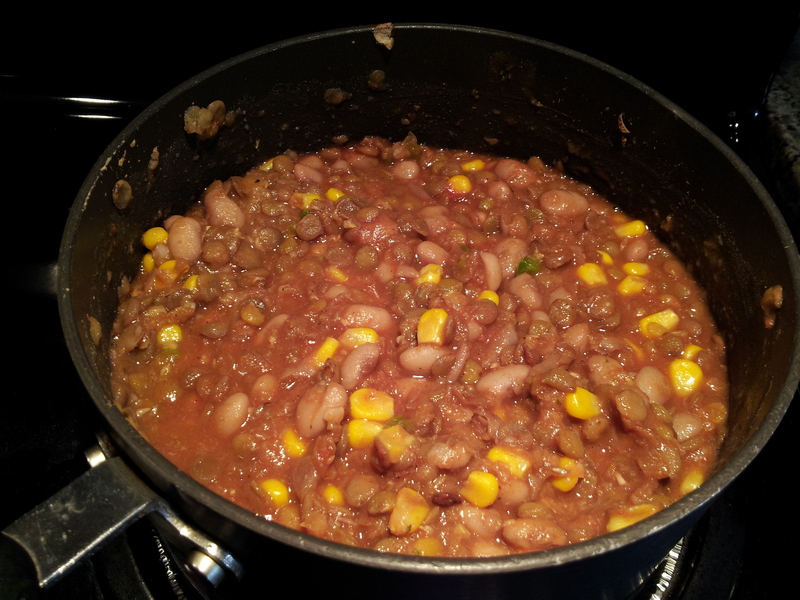 I learned from making this meal that I absolutely love pinto beans! But, if you’re curious about the other reasons to be come vegan, I strongly urge watching the documentary Vegucated that convinced me – I will at least eat vegan as much as I can, and perhaps one day I will be able to be one full-time. But, for now, it’s fun to experiment with some new recipes.